Different video formats: YouTube offers us the possibility to record videos in landscape mode and can be shared from our phone or computer or even record live video. IGTV only allows vertical videos and forces us to record them previously on our phone or using the Instagram camera. It doesn’t allow live videos for the time being. 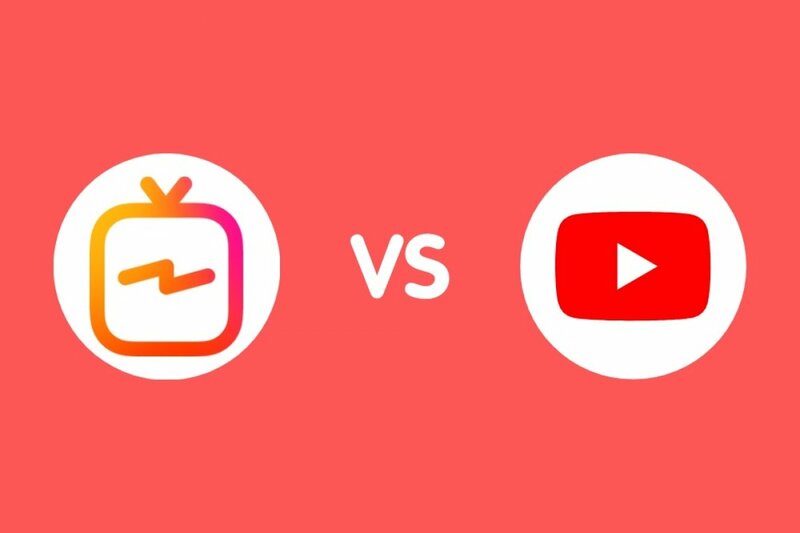 YouTube intends to be online TV whilst IGTV wants to be a social platform: on YouTube we can find almost any kind of video (provided that they don’t go against the site’s rules) whilst IGTV has been conceived with a more social nature, allowing their users to share longer videos than in stories. Monetization: for the time being, unlike YouTube, IGTV doesn’t allow the monetization of the contents shared. Interface: unlike YouTube’s list format, on IGTV the contents are presented as cards, similar to Stories. Length of the videos: at present, YouTube allows us to upload videos of up to 12 hours whilst IGTV established a maximum length of 15 minutes, although certain creators can publish up to 1 hour. Searching for contents: YouTube’s search engine allows us to apply criteria similar to those used by Google, letting us find videos by introducing people, topics, concepts… On the contrary, IGTV only allows us to search for people/channels.